The 10 Best RV Trips To Take In Colorado - Must See! It’s hard to know when to recommend traveling to Colorado — the brilliant yellow aspens in fall make that the perfect time to visit The Centennial State. The snow that seems to fall just long enough to be beautiful but not overstay its welcome means winter is a season not to be missed. The mild summers and wildflower-welcoming springs are also must-see events. The upside is — whenever you choose to visit, you’ll be in Colorado at the perfect time of year. As the name implies, Rocky Mountain National Park is 415 square miles of mountain vistas and hikes, beautiful meadows, and sparkling streams. The park is an excellent stop on Colorado RV trips with kids. The Coyote Valley Trail on the western side of the park is an easy 1-mile walk beside the Colorado River, with picture-perfect views of the Never Summer Mountains. Kids can look for elk, stream wildlife, and birds in the area. The Hiwan Homestead Museum is close by — see what life was like for a settler in the harsh but beautiful mountains. 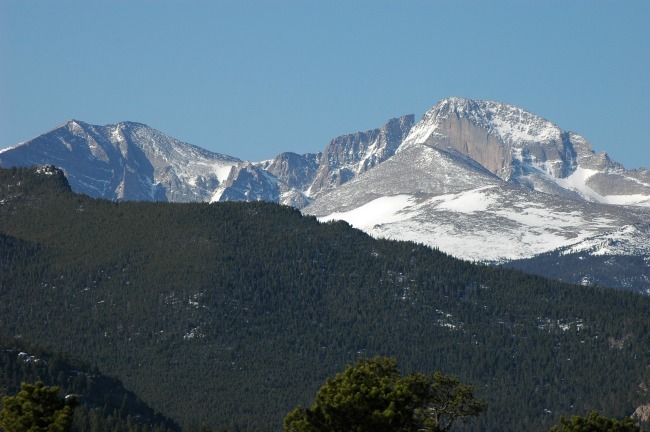 More experienced hikers and backpackers have an array of treks to choose from, including the 14er, Longs Peak. For non-locals, a 14er is a Colorado mountain over 14,000 feet — there are 53 of them but Longs is one of the most accessible to ascend. Also, the drive over Trail Ridge Road will make this a Colorado RV vacation to remember. At 12,183 feet, this highest continuous road in America offers views of the Rockies towering even higher than that, as well as alpine and sub alpine worlds up past the treeline. Often, those stopping at the Visitor Center at the top of the road are rewarded with the sight of elk grazing outside the dramatic picture windows. Finish your visit by strolling through Estes Park on the eastern side of the park. The quaint town has souvenir shops, restaurants, and coffee shops. Oh, yes — and it’s also home to the magnificent Stanley Hotel, featured in the movie “The Shining,” and rumored to be haunted. There is RV camping available inside Rocky Mountain National Park at the Aspenglen, Glacier Basin, Moraine Park, and Timber Creek campgrounds. There are no hookups, and there are limits on RV and trailer lengths (between 30-40 feet). There is also plenty of RV camping in Estes Park at places like Elk Meadow Lodge & RV Park and Estes Park Campground at Mary’s Lake. 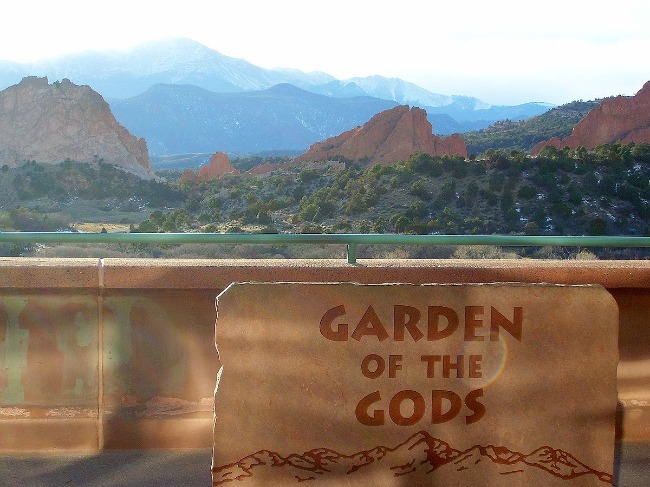 Visit the Garden of the Gods Visitor Center and see one of the most photographed views in all of Colorado. The iconic red rock formations seem to rise up from out of nowhere, creating dramatic views against the backdrop of Pikes Peak. Kids (and adults!) will have a great time looking at the names of each of the more famous formations and seeing if they can find them (the Kissing Camels are obvious, but the Sleeping Giant is a little harder to make out). The park features easy walking trails and is stroller and wheelchair friendly, but there are options for those who want a more extreme visit as well. Sign up for a Jeep or Segway tour or book a climb on the rocks with Front Range Climbing. Camping is available outside the park at Garden of the Gods RV Resort. 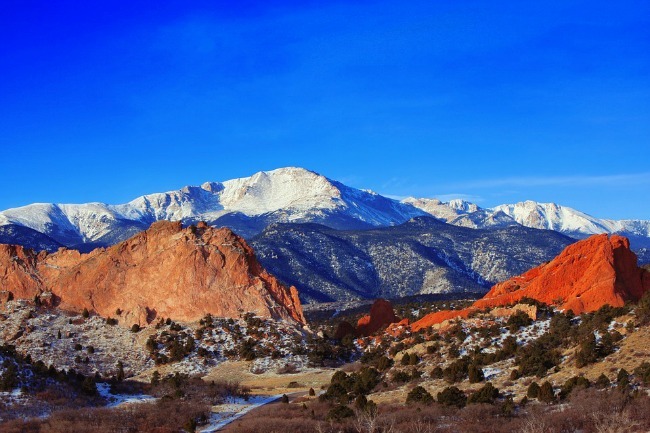 The campground is near Garden of the Gods Park as well as Manitou Springs. It also has two pools, a hot tub, and an arcade on-site. Pikes Peak — another Colorado 14er at 14,115 feet — is one of the most famous summits in the United States. Visitors can hike the mountain, drive it (passing three fishing lakes and numerous hiking trails on the way), or ride up on the Pike’s Peak Cog Railway. However you get to the top, you’ll be rewarded with views of Colorado Springs, Manitou Springs, and more. While you’re in Colorado Springs area, you can also explore Seven Falls, Cave of the Winds, or the Cheyenne Mountain Zoo. Garden of the Gods RV Resort offers camping at the bottom of Pike’s Peak, near Garden of the Gods Park. The facility has two pools, a hot tub, and an arcade on-site. 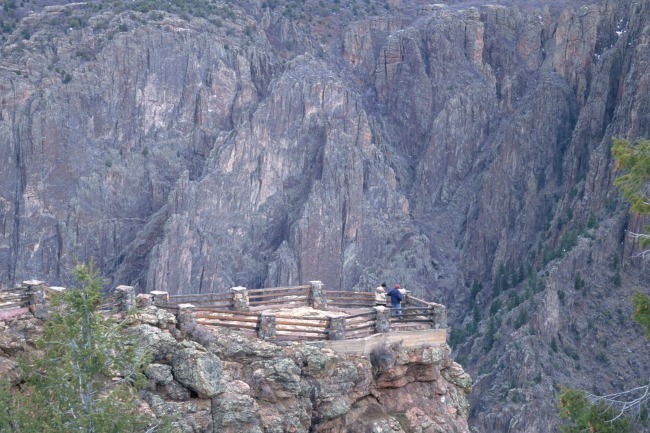 For a memorable Colorado RV road trip, be sure to make time for the Royal Gorge Bridge & Park. Sometimes known as the Grand Canyon of the Arkansas, the Royal Gorge was carved from three million years of the Arkansas River flowing through its rock. The gorge is about ten miles long, with granite walls towering over 1,000 feet high. Since the Arkansas still flows through the bottom of the gorge, the depth continues to increase by about one foot every 2,500 years. Visitors to the park can take a gondola across the gorge, or walk across on the bridge. They can experience the highest zip line in North America. They can visit historic displays teaching the story of the park — all the way up to the 2013 fire that destroyed parts of the famous bridge. After all that, they can also simply sit and marvel at the beauty and majesty of the rock and the river below. The Royal Gorge/Cañon City KOA has a pool and mini golf range, and is close to the park. Echo Canyon Campground and Royal View Campground are also nearby. Glenwood Springs also tops the list of Colorado RV trip ideas. People have been coming to Glenwood Springs to rest and recuperate since the 1800s. 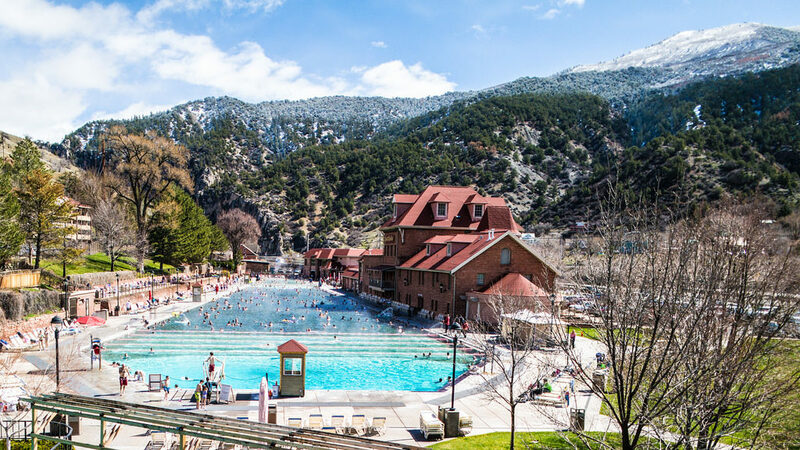 Today, guests relax and swim in the Glenwood Hot Springs Pool — the largest hot springs pool in the world. Summer guests can take advantage of waterslides, a kiddie pool, and cabana rentals, and there are lap lanes for swimmers year-round. Be sure to set aside time for a night swim and see the lights of the pool and the stars above. While in Glenwood Springs, you can also visit the Glenwood Caverns Adventure Park for their cave tours, an alpine coaster, zip rides, giant swings, and more. The Sunlight Mountain Resort is a family-friendly ski resort nearby, and the hike to Hanging Lake — a jaw-dropping turquoise-green lake — is strenuous but well worth the effort. Glenwood Canyon Resort along the Colorado River is minutes from Colorado Springs and has full hookups and wi-fi available. Ami’s Acres Campground is also nearby. 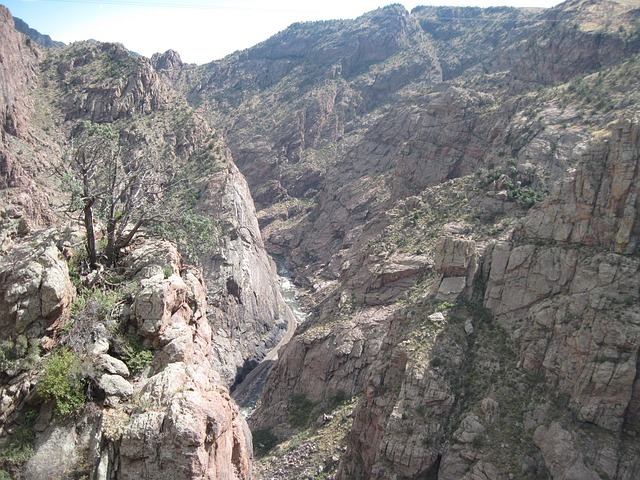 Your Colorado RV trip planner ought to include a visit to the Black Canyon of the Gunnison National Park. Explore some of the steepest cliffs and oldest rock in North America. Formed by two million years of the Gunnison River working its way through the rock, and helped along by the forces of weathering, Black Canyon of the Gunnison National Park is now a stunning display of rock, water, and sky. Guests of all abilities can hike on both the North and South Rims of the canyon, and those experienced hikers accustomed to steep, strenuous treks can make their way to the bottom of the canyon (and back out!). There are also scenic drives at both rims, as well as a steep drive with hairpin turns to the Gunnison River. If you have a camping trailer, you may unhitch it at the start of the drive and leave it in the parking lot, vehicles over 22 feet are prohibited on the road. Guests can also fish, kayak, rock climb, and watch for native wildlife in the park. Be sure to save time at night for stargazing on your own or with rangers at the park. The Black Canyon park tries to preserve dark night skies and has strict rules about their evening lights in the park, so there should be very little light pollution when you stargaze. Every Wednesday and Friday night from May to September, rangers and local astronomers give evening talks, and a large astronomy festival takes place each June. There are also scenic drives at both rims, as well as a steep drive with hairpin turns to the Gunnison River. If you have a camping trailer, you may unhitch it at the start of the drive and leave it in the parking lot, vehicles over 22 feet are prohibited on the road. Guests can also fish, kayak, rock climb, and watch for native wildlife in the park. Be sure to save time at night for stargazing on your own or with rangers at the park. The Black Canyon park tries to preserve dark night skies and has strict rules about their evening lights in the park, so there should be very little light pollution when you stargaze. Every Wednesday and Friday night from May to September, rangers and local astronomers give evening talks, and a large astronomy festival takes place each June. Be sure to save time at night for stargazing on your own or with rangers at the park. The Black Canyon park tries to preserve dark night skies and has strict rules about their evening lights in the park, so there should be very little light pollution when you stargaze. Every Wednesday and Friday night from May to September, rangers and local astronomers give evening talks, and a large astronomy festival takes place each June. Both the South Rim and the North Rim have RV camping available. The South Rim offers hookups and has sites in an oak brush forest. Dogs are allowed in campsites but there are restrictions on where they can walk on hiking trails in the park. The North Rim allows RVs but does not have hookups or RV water filling available. The sites are within a pinyon juniper forest, and the campground fills quickly during spring and fall. All sites are first-come, first-served. RVs greater than 35 feet long are not recommended. 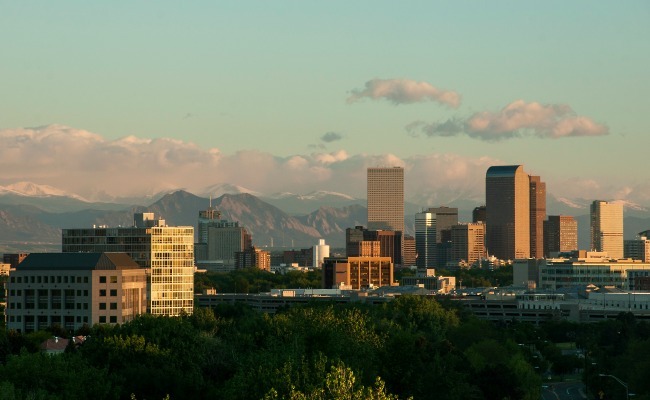 While Colorado has many far-flung regions to explore, the largest city in the state is also worth a stay. Denver has tasty restaurants, shopping, and a wonderful arts scene. Spend a day — even in the dead of winter — at the Denver Botanic Gardens. During warmer months, flowers and vegetables abound in the gardens, but during winter you can visit the two-story greenhouse to see rare orchids and other tropical plants. Go on a brewery tour in the state with the second-most breweries in the U.S. The Denver Performing Arts Complex is home to eight theatres and has previewed shows that go on to Broadway from there. There are also several outdoor sculptures including the iconic (and adorable) Big Blue Bear who peeks in the window of the convention center. The Denver Art Museum is free for kids every day, and free to all visitors on the first Saturday of the month. The museum has Family Backpacks available for kids to use with activities and information to help them explore the artworks. The 16th Street Mall has shops and restaurants and a free shuttle to explore it from one end to the other, where it stops near the state capitol building. The recently refurbished 100-year old Union Station, along with being a working transportation center, has restaurants, a hotel, a bar, and excellent people-watching opportunities. Titanic history buffs will want to visit the Molly Brown House Museum where you can learn more about the unsinkable Molly Brown, how she survived the Titanic sinking, and her later suffragette activism and work to reform Colorado’s mining communities. Clear Creek RV Park in Golden is about a 25 minute drive from downtown Denver and affords a quieter place to unwind at the end of a busy day of exploring. Bear Creek Lake Park also has RV camping through the fall and is about the same distance. Chatfield State Park has camping, as does Cherry Creek State Park. 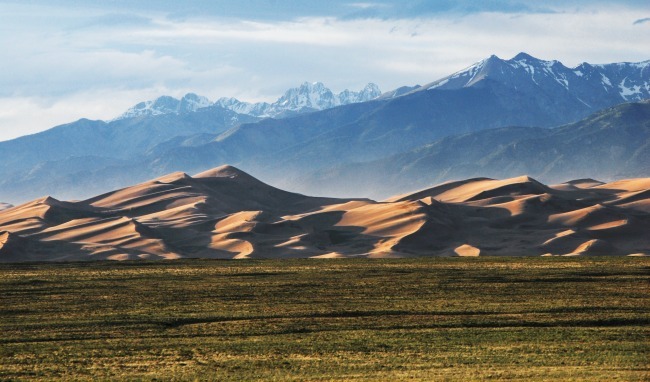 You can sled with no snow at the Great Sand Dunes National Park & Preserve. The park features the tallest dunes in North America, nestled amongst wetlands, conifer and aspen forests, alpine lakes, and tundra. No nearby big cities make stargazing at night a beautiful experience, and you may see some local nocturnal wildlife as well. Visitors can hike or backpack, sand sled or sandboard down the dunes, play in Mendano Creek during certain seasons, or go four-wheeling along Mendano Pass. Fishing, hunting, and fat tire biking are also popular activities. With evidence that the first humans lived near the sand dunes 11,000 years ago, it’s worth your time to check out the Visitor Center and learn more about the history of the area. Piñon Flats Campground is open from April to October and can accommodate RVs or trailers up to 35 feet in length. Sites fill up quickly, be sure to check their website for tips on your best chance to camp there. The Great Sand Dunes Oasis is just outside the park, and the Sand Dunes Swimming Pool and Campground is a nearby private RV park. 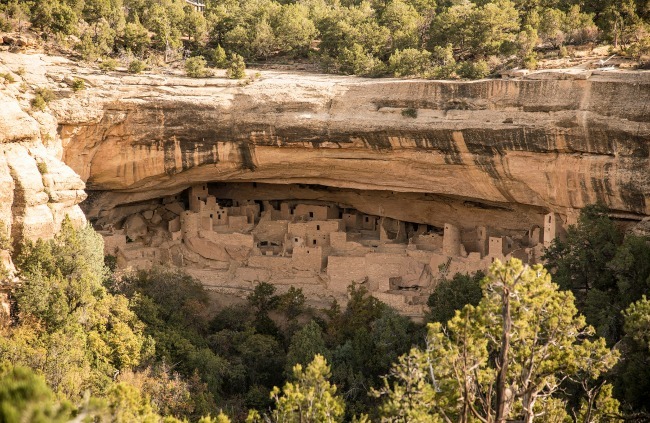 One of the best RV trips in Colorado will take you to the cliff dwellings at Mesa Verde National Park — an amazing look at how the ancestral Pueblo people lived from 600-1300 AD. The park has 600 cliff dwellings and 5,000 known archeological sites, and they are some of the best preserved in the United States. Visitors can take a ranger tour right up to the dwellings, and can climb down into a kiva where they learn more about the history of the Puebloans. Photography buffs can also take a ranger-led twilight photography tour, which offers once-in-a-lifetime sunset lighting of the dwellings. You can also take guided backcountry hikes or hike and explore the park on your own. Mesa Verde is a short drive from Four Corners Monument, which is always a fun stop. In the other direction, Durango is a short drive away and a wonderful mountain town to explore as well. Morefield Campground inside the park has plenty of sites and rarely fills up. There are 15 full hookup RV sites that do require reservations, however. The Cortez/Mesa Verde KOA is not far from the park and has a pool and a walking trail around Denny Lake, where fishing is available as well. Rumored to be the inspiration for Walt Disney’s Main Street, USA at Disneyland, downtown Fort Collins has charming buildings and a quaint feel. Visit one of the city’s breweries — perhaps the New Belgium Brewing Company, makers of Fat Tire Ale. 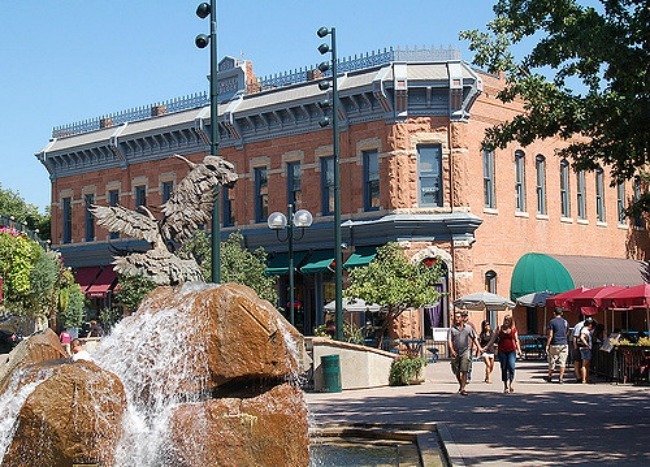 Stroll through Old Town Fort Collins and see how the district landed on the National Register of Historic Places. Or head outdoors for hiking, biking, stand up paddleboarding, or whitewater rafting nearby. There are several KOAs in Fort Collins including the Lakeside KOA which surrounds a ten-acre lake and allows catch-and-release fishing and paddle boats. You can also stay at the Fort Collins/Poudre Canyon KOA along the Cache La Poudre River, or the Fort Collins North/Wellington KOA which is a short drive from both Fort Collins and Cheyenne, Wyoming if you want to take a day trip there. Coming up with a Colorado RV trip itinerary is a rather daunting task — the state has so many places to explore. Whether you’re a craft beer aficionado, an outdoor enthusiast, or an appreciator of the arts, you’ll find the perfect activity in Colorado. Hopefully, these Colorado RV travel tips will help! RVShare will find RV rentals in Colorado so you can find the perfect RV to travel the state. If you need a few more RV parks to choose from, RVParking can help you find more Colorado RV parks throughout the state.